These pictures are published for pleasure/information/research purposes only and are not for sale or copy under any circumstances. Information in captions has been researched as thoroughly as possible but its accuracy cannot be guaranteed. 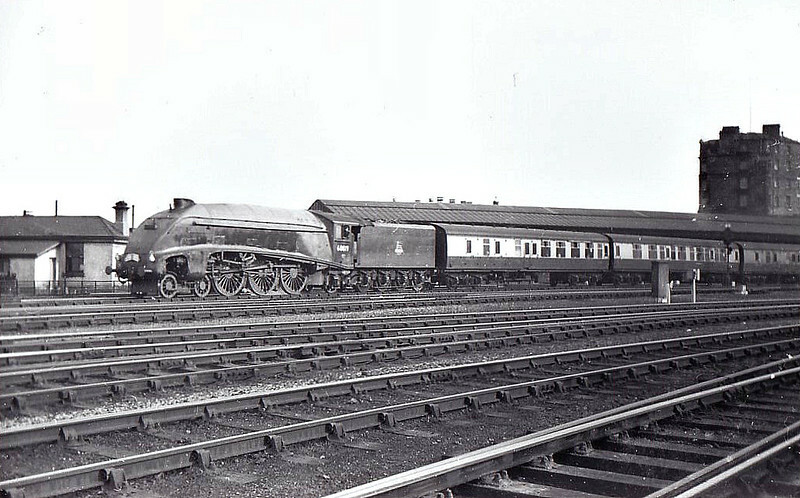 60019 BITTERN - Gresley LNER Class A4 4-6-2 - built 12/37 by Doncaster Works as LNER No.4464 - 08/46 to LNER No.19, 10/48 to BR No.60019 - 09/66 withdrawn from 61B Aberdeen Ferryhill - seen here at York, 10/56.